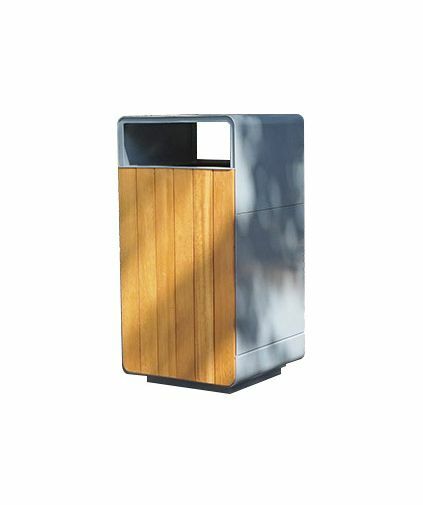 Round, square or tulip shaped, in colours or in stainless steel but always very elegant, Street Furniture Direct litter bins do their bit to keep towns clean and protect the environment. 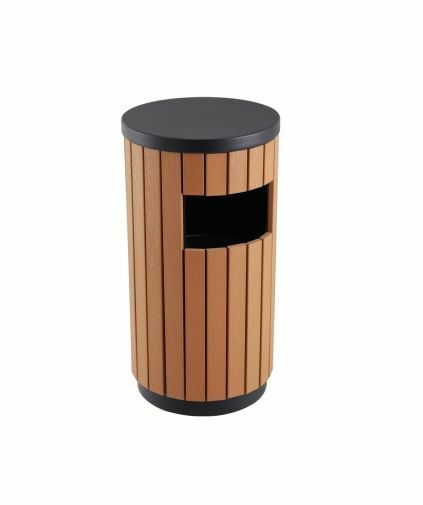 Street Furniture Direct litter bins are designed to tone unobtrusively with a variety of environments, outlive fashions and withstand harsh weather and stresses for decades. An elegant and simple system of rubbish collection. The Helenus offers an easy on the eye design that isn't out of place in modern or traditional settings with a simple bag removal system. 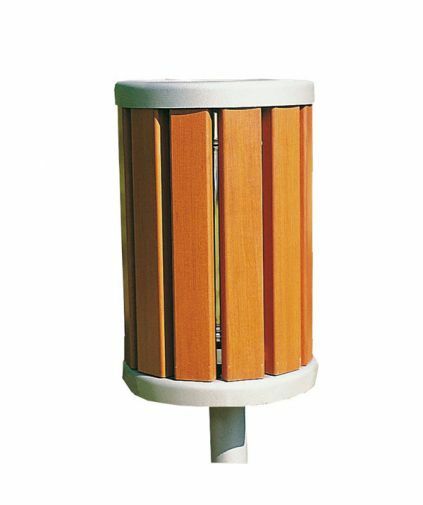 Street furniture direct offer cost effective solutions to waste management. 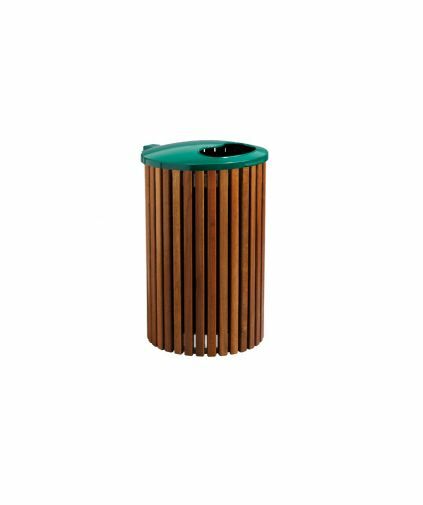 Our range of litter bins manufactured from recycled timber in various sizes, shapes and finishes available means your never out of choice. 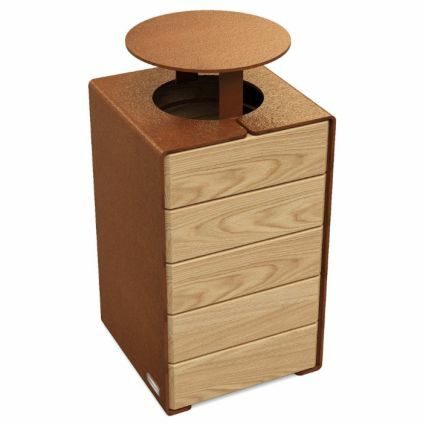 The New Contour Bin offers a modern design, metal litter bin with decorative wooden Iroko panels to the front and back. 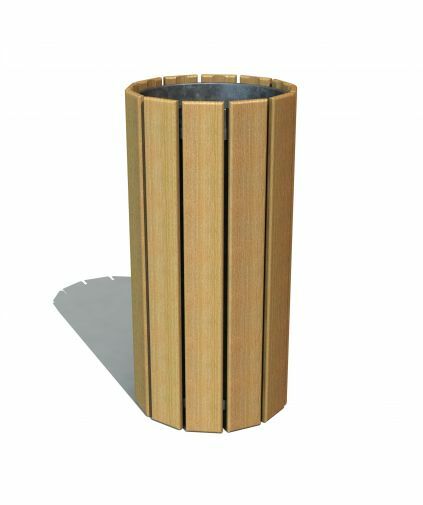 Beautifully rounded corners give the bin a softened look, making it an ideal choice for urban and rural environments. The 'Modern' range is based on a simple, straightforward composition with a discrete base and solid wooden square slats. The plain and unadorned 'Modern' range can be integrated long term into any type of landscape.